To drink or not to drink coffee, that is the question; Whether ’tis nobler in the morning to suffer the slings and arrows of a poor night’s sleep, Or to take arms with a cup of Java against a sea of fatigue, And by sipping, to end it. To live, to energize. Okay, okay. So, it’s not Shakespeare. But the question about the relative merits of coffee drinking have been around for at least as long as Hamlet. I, for one, am a crusader for my favorite beverage. I firmly believe that the health benefits of coffee far outweigh any harm that it will likely cause. In a continued attempt to prove my case, here are several recent studies that attest to the healing powers of the almighty cup of Joe. A brand new study in the prestigious journal Circulation (published by the American Heart Association) examined the possible connection between coffee consumption and stroke risk. There’s a prevalent notion that coffee will up the odds of having a stroke. Why wouldn’t it? It raises blood pressure, doesn’t it? It makes your heart race, right? Well, the funny thing about science is that it often shatters long held preconceptions – like this one. 2,280 total strokes occurred during the course of the study. 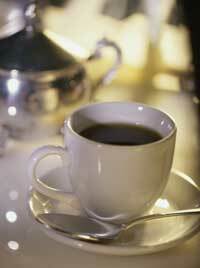 The women who consumed the largest quantity of coffee showed the greatest reduction in stroke risk. Consuming at least 2 to 3 cups a day appeared to be ideal. 4 or more cups daily afforded a very small added benefit (as compared to the 2 to 3 cups), but the difference was non-significant. The benefits were even greater in women who didn’t smoke or who had stopped smoking. Decaffeinated coffee consumption also showed a protective effect. Again, a minimum of 2 cups was needed to show a significant benefit. One of the authors of the study, Dr. Esther Lopez-Garcia, offered the following observations based on these study results,”Long-term coffee consumption was not associated with an increased risk of stroke in women. In contrast, our data suggest that coffee consumption may modestly reduce risk of stroke.” She went to state that, “Antioxidants in coffee lower inflammation and improve blood vessel function”. When most people think of coffee they remember hearing or reading that it’s “hard on your stomach”. In some instances, that may be true. But new information has recently come to light that may change the way coffee is viewed with regard to digestive health. In January of 2009 a study in Switzerland set out to determine if regular coffee consumption would cause negative effects on the good bacteria that reside in our intestines. These bacteria help to digest food, maintain a healthy immune system, manufacture certain vitamins and generally help to keep the balance between the good guy bacteria and bad guy bacteria. 16 healthy volunteers were given a 3 cups of coffee per day for a total of 3 weeks. Prior to the study, “samples” were taken from all the participants to determine their levels and types of intestinal bacteria. At the end of the 3 week trial, more samples were taken. A comparison was performed on the pre and post samples to examine if there were any changes in the bacterial composition. In general, there was no major change in the bacterial landscape of the volunteers. The one exception was with regard to a highly beneficial strain of bacteria called Bifidobacterium spp. The population of this strain increased after coffee consumption and the activity of these healthful bacteria improved as well. This is a positive “double whammy”. More good guys, working harder to do good things. While researching today’s blog, I came across several promising items that shed a positive light on the association between drinking coffee and a lowered risk of cancer. A recent review of 12 studies involving over 646,000 volunteers found that coffee provided a protective effect against colorectal cancer. A separate review of 9 studies with over 2,500 participants, determined that regular coffee consumption was linked to a reduced risk of endometrial cancer. On the experimental front, a component of coffee called caffeic acid is showing great promise as a “potent chemopreventive agent against skin cancer”. Collectively, these new reports bode well for the potential of coffee as one tool in the battle against cancer. I’ll be on the look out for more research that will hopefully support these preliminary findings. It’s only fair to say that coffee isn’t appropriate for everyone. I love it, but under certain circumstances such as uncontrolled anxiety, hypertension, and heart arrhythmias … it just may not be a good idea. Even the healthiest of foods (and drinks) are not beneficial for everyone. That’s one of the key principles that is often taught in the realm of holistic medicine. Good health is based on the needs of the individual and every individual has different needs. 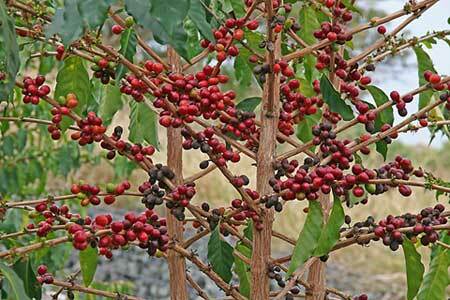 benefits that pure coffee has to offer. Thanks for the advice and information. I will definitely start having organic coffee. Its very beneficial. It has no side effects. There is absolutely no harm in the digestive system. Organic coffee can indeed be healthy. But sadly, it’s not accurate to say it’s side-effect free for everyone. Some people simply do not tolerate caffeine very well. Fortunately, I’m not one of those people.